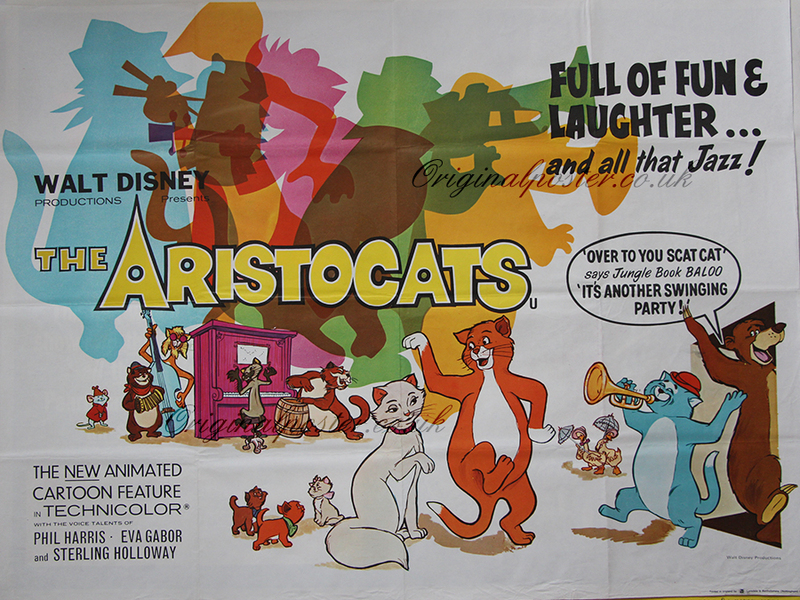 Details Frank Thomas is the animation director responsible for these wonderful Walt Disney "Aristocats". This first release British quad has a real happy Swingin' jazz party theme with hallucinatory colours. Printed in England by Lonsdale & Bartholomew of Nottingham. This film poster is in excellent condition.